Home remedies for skin conditions might be old-fashioned, but there’s no denying that many of them work. Believe it or not, there are plenty of remedies for these skin issues that you can find in your own pantry! The best part is that many of these homemade aids don’t put you at risk for irritation or allergic reactions, and they’re also much cheaper than buying cosmetic products. There’s absolutely nothing wrong with marks on your skin, but if you’re someone who would rather they weren’t there, consider giving these natural, everyday items a try. 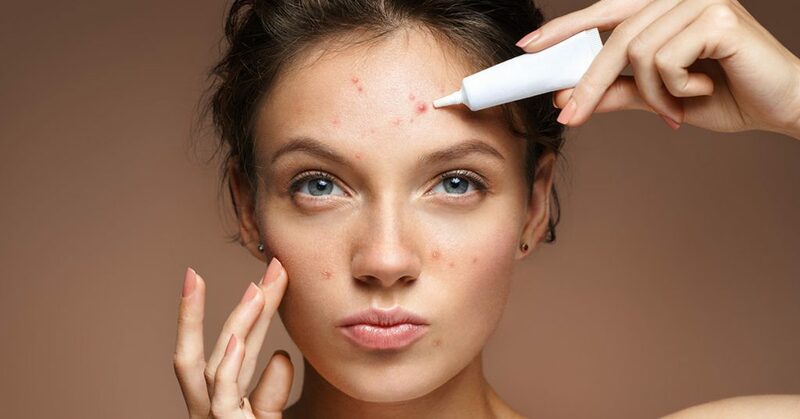 Acne is one of the most common skin conditions that people attempt to treat. You have two options as to how to treat it. The first is with the use of cucumber and tomato. Mix cucumber juice with the pulp from a tomato and apply it to your face. Allow it to sit for 15 minutes and then use lukewarm water to rinse off the mixture. The second option is baking soda. Make a paste with baking soda and water and apply it to your face. Leave it be for about 20 minutes, then rinse with lukewarm water. Typically caused by aging or too much exposure to the sun, dark spots are patches of discoloration over the skin. There are multiple ways to treat this issue. The first is by using lemon. Lemon is well-known for its bleaching properties. Use fresh lemon juice and absorb it with a cotton swab till the swab is soaked. Then, rub the swab onto your dark spots. Do this twice every day. You can also use aloe vera. This herb is famous for its ability to heal many different conditions. Every day, take some aloe vera gel and gently rub it onto your dark spots. Allow to sit for half an hour. If you can stomach it, you can also use onion juice. The juice from an onion can be placed onto dark spots every day for optimum results. Allow the juice to sit for between 10 and 15 minutes each time. Finally, you can use organic Vitamin C serum – simply place the serum right on your dark spots and you’re good to go. 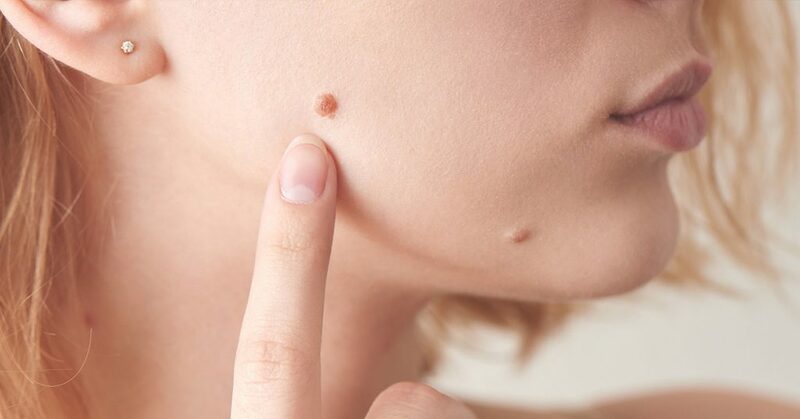 Moles aren’t necessarily skin problems, but they affect individuals of all ages and from all walks of life. It can be caused by sun exposure or simply be a genetic factor. If you’d like to get rid of moles, you have a few options. The first option is a mix of castor oil and baking soda. Mix these two components together until it forms a paste. Place this paste onto moles. You can also opt to use apple cider vinegar. Take a cotton ball and soak it inside the substance. Then, place the cotton ball against moles and keep them there, using a bandage to secure them in place. Leave for eight hours. Finally, you can use garlic. Simply take half a clove of garlic and rest it on the mole. Do this for four hours daily. Warts are often caused by HPV. 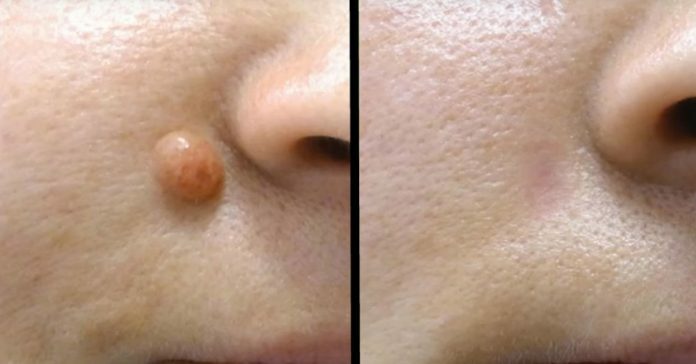 They’re essentially a form of infection that affects the skin’s outermost layers. Here’s what you can do to get rid of them. First, you can use raw honey. Place some onto a wart, then use a bandage to cover it up. Let it sit overnight and repeat again the next day for best results. You can also use garlic. Crush garlic and rub it into a wart, then use a bandage and hold the crushed garlic in place. Do this twice a day and the wart should be gone in two weeks. Next, you can give apple cider vinegar a try. Take a cotton ball and soak it in the vinegar, then use a bandage to stick the cotton ball to a wart. Leave it on overnight, and do this nightly. Finally, you can use banana peels. All you have to do is rub the peels onto the wart. Do this every night before you head to bed.